Hello sir, can you answer me a question? Yes. How many articles I should post on my website? This is a most common question from new bloggers every time that I heard. So, in this reason, I decided to make a blog post on this topic. Novice will get answer from this post.As usual, most of the bloggers are part time. So they do not get enough time to write their post. In this situation, they write 1 or two articlesevery week. Even some well known blog are not able to keep this process for continuously. There are many bloggers who publish their post once or twice a month. I want to give you three examples that I researched and found this matter. If you visit on amit agrawals labnol.org then you will see that he publish as usual at least 10 articles per month. If you vist harsh agrawals shoutmeloud.com then you will see that he update his blog on regular basis. And lastly if you visit ammar alis allblogingtips.com you will see that he update his once a week. So the key point is what you learnt from this example. I have showed you three different types of blog and mentioned their blog posting frequency. The main learning thing is the growth. Growth is the main power for a website. When growth will increase, your overall traffic will increase. When website gets enough traffic with search engine optimization seo process and that’s success depends on many factors. And growth is one of them. If you publish post regularly then search engine crawling bot will come your website everyday basis. 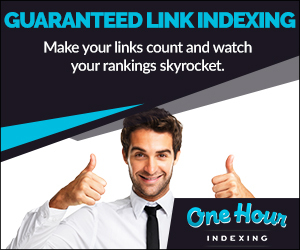 To get index everyday by search engine, you need to pubish content on regular basis. First of all, there is no binding for you to fulfill any quota. This is depending on your choice that how you want to grow your website. This is the main factor first you need to select this. If your first select your goal and then work hard, you will sure get the targeted results. If you think, you need too much exposure with short time, and then if you publish 2-3 articles every day, you will see the big growth in traffic within years. If you publish 4-5 articles each week it will also help you get quick traffic in short times. If you publish 1 article per week, then it will take time to growth your blog? I think for normal bloggers, I recommended that post 3-4 quality articles every week. I have also tricks. Open your website forguest bloggers. They will help you to this matter. Are you knew that huffingtonpost, mashable, techcrunch publish 20-25 articles everyday and they update their blog every time. In this reason, they able to gain their roi within short period. They get millions of hit every month. More traffic, more sale and success. And lastly I want advice this, always write quality article for your blog. Don’t copy articles from other blogs. It will sure harm your business. If you found anything helpful from this topic for you plz share this post on social media.